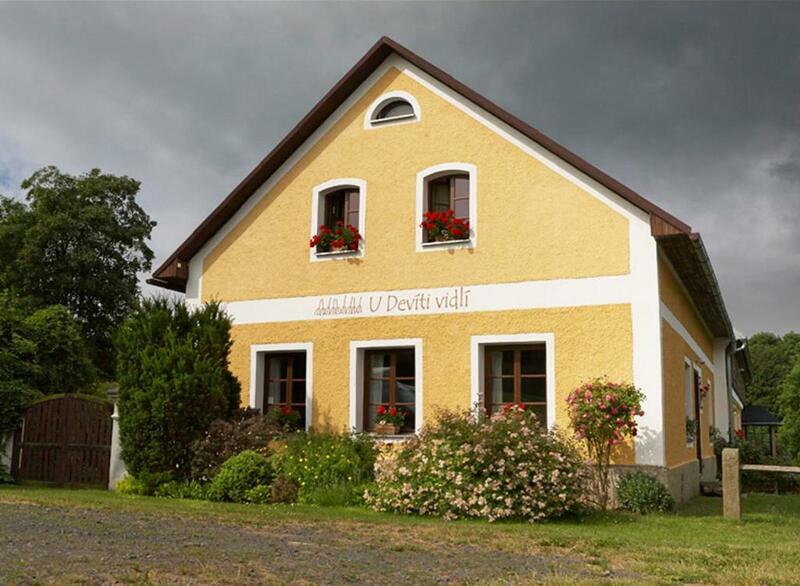 Lock in a great price for U Devíti vidlí – rated 9.6 by recent guests! Peaceful remote location, gorgeous house, forest paths to walk and see wildlife. Close to beautiful old churches. We liked everything! The owners were very nice and friendly, the room was clean and comfy, the bathroom also was very clean. The breakfast was very good. The territory around the building is really picturesque. The property is located in a small village with almost no light pollution so we could enjoy the night sky. There was a fully equipped BBQ site where we had our dinner watching a cute large brown hare walking by =) The Wi-Fi was a bit slow but who even needs Wi-Fi in a place like this? =)) Will definitely return! This beautifully renovated, spotlessly clean property absolutelly exceeded our expectations. It had all you could possibly need and more. Well equipped kitchen, board games, magazines, lovely and helpful hosts. Great location for outdoor trips too. Chtěla jsem napsat, jídlo jako u maminky, ale ta moc nevařila, takže jinak - jako u babičky, která péčí o naše bříška nám dávala pocit , jak moc jí na nás záleží. Ubytování vkusný, praktický, majitelé vstřícný, milý, obdivuhodný. Přijedem zas. Klidná, příjemná vesnice v dojezdové vzdálenosti větších měst. Nádherný stylový pension uprostřed přírody, velmi příjemný pan majitel. Po vyspání do růžova výborná domácí snídaně. PERFEKT. Sauber, Nett, Ruhig, Preis Leistung Verhältniss Passt. 100% Empfehlenswert. U Devíti vidlí has barbecue facilities, garden and terrace in Žlutice. All rooms have a kitchenette and a private bathroom. The guesthouse provides a shared lounge. Guest rooms in the guesthouse are equipped with an electric tea pot. The rooms will provide guests with a microwave. 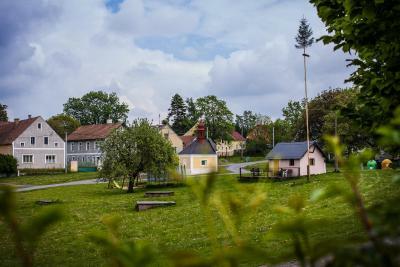 You can play ping pong at U Devíti vidlí, and the area is popular for cycling. Karlovy Vary is 20 miles from the accommodation, while Mariánské Lázně is 27 miles away. 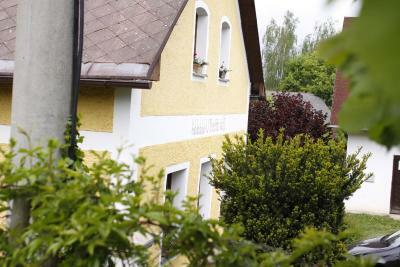 The nearest airport is Karlovy Vary Airport, 19 miles from the property. 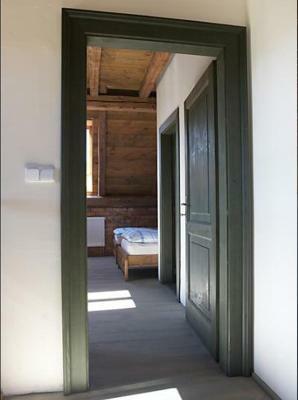 This property also has one of the top-rated locations in Žlutice! Guests are happier about it compared to other properties in the area. This property is also rated for the best value in Žlutice! Guests are getting more for their money when compared to other properties in this city. When would you like to stay at U Devíti vidlí? This double room has a stovetop, tea/coffee maker and barbecue. This twin room features a kitchenware, barbecue and tea/coffee maker. This twin room features a microwave, tea/coffee maker and view. House Rules U Devíti vidlí takes special requests – add in the next step! Although we added Breakfast and this showed on Booking confirmation, payment taken by Booking. Com only included accommodation. There was some confusion with the owner and we had to pay for the Breakfast on checkout.